Mosaic Photo from 1000 Pictures - Quick & Easy - FREE preview! Tip: The main image should be simple. The simpler the main image, the better the result will be. A mosaic photo is the ideal gift idea for special occasions, since, in a mosaic, you have the opportunity to depict many photos in one image. This is particularly lovely when you want to commemorate time spent together in an image. Making a photo mosaic is very simple these days. You just create your photo mosaic online using lots of little photos. Your photo mosaic uk is ready in just a few hours and the preview will be sent to you by email. 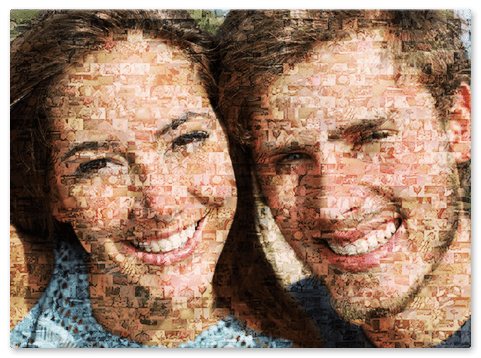 These days you can create your mosaic photo online with just a few mouse clicks. If you observe these few tips, the resulting photo mosaic will be especially impressive. The main image should be simple and with clear lines. This means it will be easier to see on the finished mosaic. Upload plenty of small photos for your mosaic – the more, the better. Tip: Use at least 100 little photos. The more photos, the more varied the mosaic will be (max. 1000 photos). 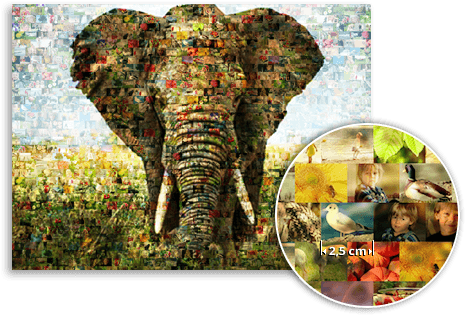 Image: mosaic on canvas – individual pictures are 2cm across. First upload your main image for your photo mosaic online – this is the image that will be depicted large in the finished product. Then upload lots of smaller pictures. The rule is here, the more, the better. Now we can start building your photo mosaic! This can take up to 24 hours. Your preview is ready! If you’re happy with your mosaic, select your product (e.g. canvas). 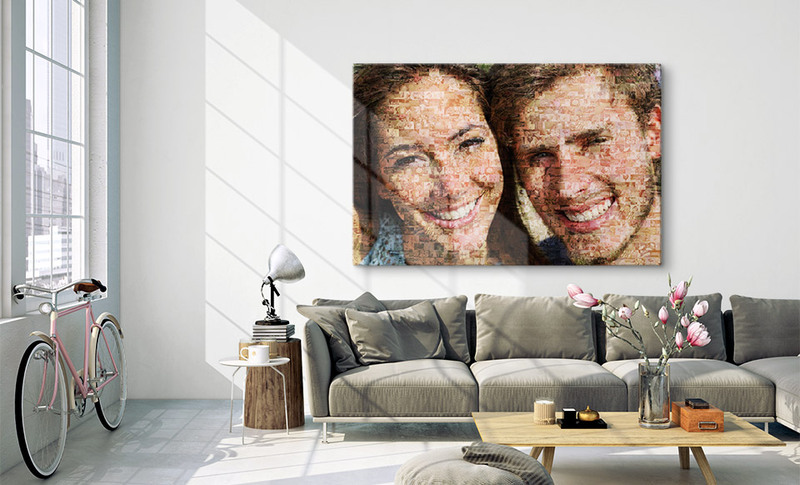 Finally, you can purchase your photo mosaic. Delivery takes 1-3 days.